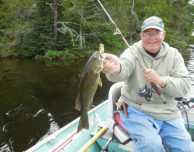 The best Nestor Falls Fly-In Fishing tips come from guests! 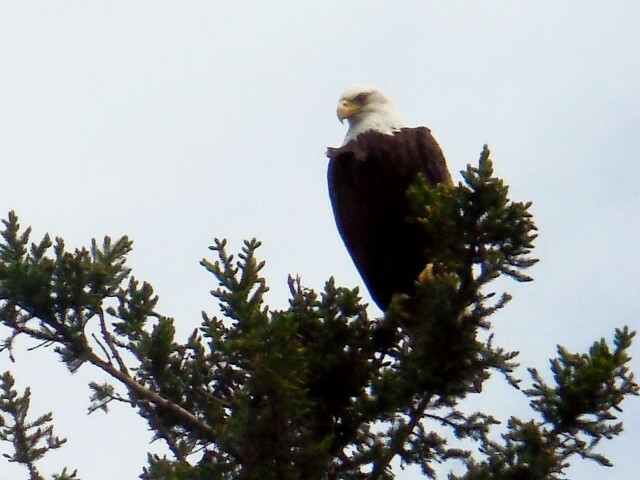 Mike has been fishing with us for years, and he got back from a trip a couple days ago. 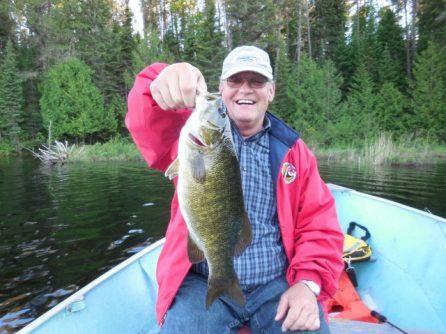 He sent us a bunch of great notes on Kay Lake and its nearby portage lakes. Kay is known for Smallmouth Bass and it won’t disappoint in 2017. The Smallmouth are fighting hard! Mike and his group had a blast trying to land them. They caught Smallies up to 18″ on spinnerbaits, countdown Rapalas, crankbaits, and tube jigs. He said a jig and leech or worm worked too, but the artificials caught most of the fish. Keep that in mind as you pack your tackle box! You can get to two portage lakes from Kay Lake: Derby Lake, connected to Kay by a stream, and Anstey Lake, which you have to hike to from the cabin. Mike told us the creek that flows into Derby was very low. He was fishing with two guys, Jim and Steve, who went in and found the water blocked by a beaver dam! They opened a space in the dam to squeeze the boat through and made it into Derby. Worth the effort – Jim caught three nice Muskies! He didn’t get a chance to fish Anstey though. Next year!